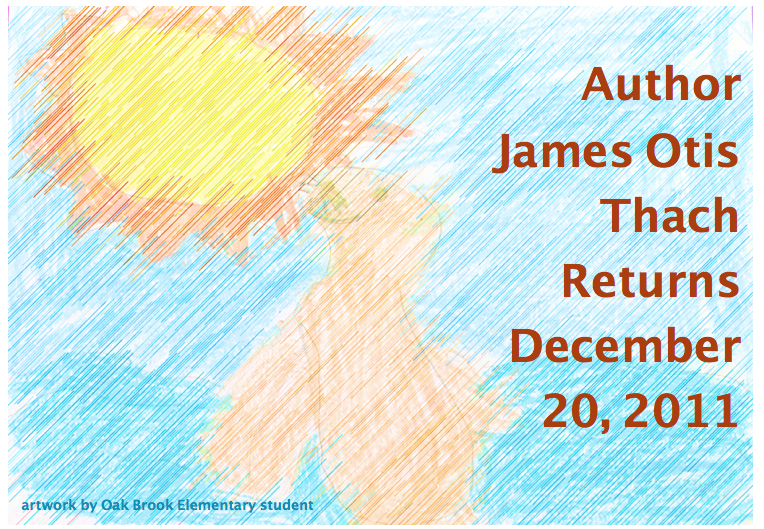 We’re thankful this week to be able to announce the return of author James Otis Thach to Cooperating School Districts for two videoconferences this December! James is a St. Louis native and the author of A Child’s Guide to Common Household Monsters, The Tickle Monster is Coming and his latest, The Seal Pup. James was raised in Clayton and attended Glenridge Elementary. This free, one hour videoconference is for elementary students. James Otis Thach will read from his book, The Seal Pup. The story follows the quest of a lone seal, trying to reunite with his herd. James will also talk about the true story than inspired the book, and about the long journey of making a book. He will also share related videos, and invite the kids to use their research and library skills to find the documentary the book is based upon. Participating schools also receive a free copy of The Seal Pup, signed by James. Happy Holidays!